US-based Veeco and AIXTRON, which have long held the Chinese LED epitaxial chip MOCVD equipment market, will usher in a declaration of war for Chinese local companies. On November 12, Huacan Optoelectronics announced that the previously announced use of domestic MOCVD equipment development / industrialization of ultra-high brightness LED project has been approved by the Ministry of Industry and Information Technology, and received a subsidy of 6 million yuan for the purchase of equipment or materials required for the project. Wait. The project was implemented by Zhonghao Optoelectronics Co., Ltd. Zhang Wei, vice president of the latter, said at the LED forward-looking technology and market seminar held in Shenzhen on November 15 that the top MOCVD equipment in China is no worse than the two international giants, and called on the industry to give domestic enterprises more trust and opportunities. In recent years, under the impetus of the rapid development of China's LED industry, Veeco and Ai Siqiang have earned a lot of money in the Chinese market. 90 market share is in their hands, which is unfavorable for the development of the domestic LED industry. Chen Aihua, chairman of Zhonghao Optoelectronics Co., Ltd. said in an interview that China's MOCVD equipment accounts for about 60% of the global market. MOCVD equipment also occupies 40-50% of LED epitaxial chips. The localization of equipment is extremely beneficial to the entire LED industry chain. But at the same time, the prospect of inciting the monopoly of the two international giants is not optimistic. The dramatic expansion of MOCVD capacity began in 2009 with the crazy expansion of the LED industry. Under the huge government subsidies, the upstream epitaxial chip has a serious overcapacity. From the total number of devices, the capacity of MOCVD is definitely surplus. The industry is relatively consistent. At present, domestic LED epitaxial chip companies purchase about 1000 MOVCD devices, but at least 350 are in a state of complete shutdown. The other 650 capacity utilization rates are only about 80%, so the external use of MOCVD equipment capacity The rate of only 50% is basically accurate. Ye Guoguang, sales director of Guangdong Deli Optoelectronics Co., Ltd. told reporters. Behind the crazy purchase of MOCVD equipment is the embarrassing reality of VTech and Ai Siqiang Nuggets China. Since 2009, policy stimulus and backlight applications have led to the development of the domestic LED industry. 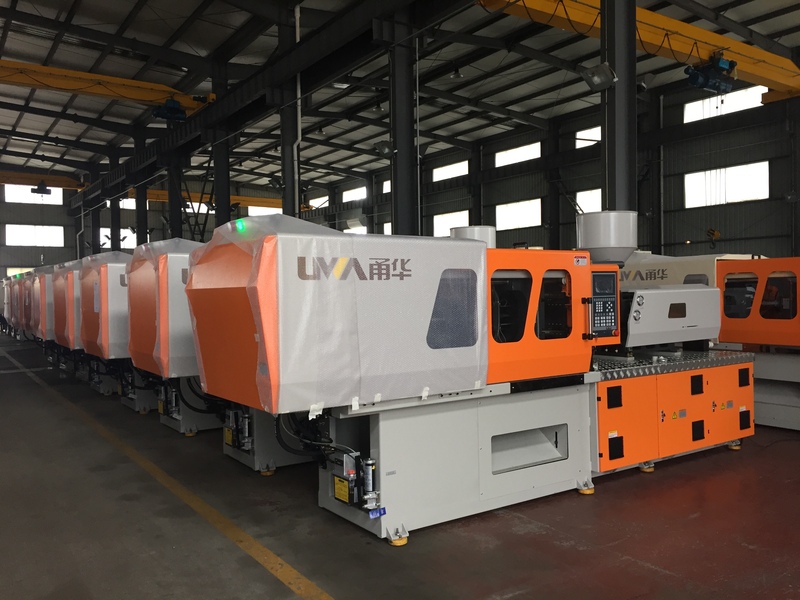 Due to the domestic defects in MOVCD equipment manufacturing technology and the lack of market control, the two strongholds accounted for 90% of the Chinese market. In 2009, the boss was Ai Siqiang. At that time, it accounted for 68% of the global market share. Vyco only had 25, but due to the breakthrough in technology, the equipment can realize the scale production of epitaxial chips. By 2012, Veco surpassed Ai Siqiang in one fell swoop, its market share soared to 65, the two positions interchanged. And China has clearly become the core battlefield of the two strong hegemony. According to public data, domestic LED epitaxial chips are rampant, and Sanan Optoelectronics, Dehao Runda, and Guoxing Optoelectronics have become the main force in purchasing MOCVD, with a total purchase of hundreds of units. According to incomplete statistics, the corresponding government subsidies are also in the billions of dollars. A large part of our subsidies have been taken away by Americans and Germans. This situation may not be imagined by them (referring to Veeco and Ai Siqiang), but this is unhealthy for the development of China's LED industry. Chen Aihua said. It is not easy for domestic enterprises to attack as early as January 8, 2010. Guangdong Zhaoxin said that the first self-developed MOCVD equipment in China was successfully launched, but unfortunately, MOCVD equipment is still in its infancy. According to Huacan Optoelectronics Announcement, the company has adopted the domestic MOCVD equipment development/industrial ultra-high brightness LED project declared in accordance with the â€œ2013 Electronic Information Industry Development Fund Project Guideâ€, and has recently received a notice from the Ministry of Industry and Information Technology and approved the subsidy. 6 million yuan is dedicated to the purchase of equipment or materials required for the project. As a partner of the project, Chen Aihua told reporters that the localization of MOCVD equipment requires more policy support and industry support. It is reported that there are about 13 domestic R&D and manufacturing companies involved in MOCVD equipment, and some domestically produced equipments have a high level of competitiveness. Some equipments have certain advantages in comparison with VECO in terms of production capacity and cost. However, from the current situation, it will take time for domestically produced equipment to compete with Veeco and Ai Siqiang. We have sold several equipments to Huacan Optoelectronics and Yuanrong Optoelectronics, and are in contact with customers such as Dehao Runda. So far this year, we have achieved sales revenue of 60 million yuan, and the target for next year is 150 million yuan. Chen Aihua said that the domestic MOCVD equipment needs a long-term process to seize the market. First of all, the policy support that is implemented is too little, and secondly, the cultivation of market trust and recognition takes a lot of time. Moreover, the LED epitaxial chip enterprise production process is based on the existing equipment design, and it is necessary to introduce new domestic equipment. This change in itself is also a risk in itself. In this regard, the reporter interviewed a number of LED epitaxial chip companies, a reluctant name of the listed company's board of directors response is quite representative. He said that many domestic equipment manufacturers have recently approached them to try to persuade them to try their equipment, but the company will not consider purchasing in the short term unless the domestic equipment passes the market's successful inspection in the future. In addition, due to the excess of domestic MOCVD equipment holdings, in the short term, the market is unlikely to break out, and domestic companies also need to survive the market off-season for some time to come. It is worth noting that the actions of domestic enterprises have already caused the vigilance of Veco, and the latter suspected to use price cuts to consolidate the market monopoly position. According to Chen Aihua, VECO's 4-chamber equipment dropped from a maximum price of US$7.5 million per unit to US$5.7 million per unit at the beginning of this year. In July, its price was again lowered to US$4.6 million per unit. If we play a price war with Veeco, we will lose money. Therefore, domestic MOCVD equipment must break through and hope for technological innovation, and bring more value to customers. Small size plastic injection moulding machines specially produce high procison mini Plastic Parts with fast response, stable quality. Vertification of many year's market application, optimal combination configuration, stable, reliable and durable system with the characteristics of high efficiency, energy saving, low voice and strong power.